On average people visit no more than fifteen websites on a regular basis. With the number of website increasing continuously (see the stats by clicking on this link below) your chances of been found on a random basis is small. However with our heavily promoted website with continuous news updates, we are the place to be seen by those who might need your services as well as donors, investors and volunteers. Put your advertisement alongside larger more established organisations and watch your operation grow in stature. A full directory entry is a low-cost way to start. Designed like a mini website, you can explain your organisation and your mission in detail. You can add photos and video, and there is an enquiry form that has buttons to encourage people to Donate cash, Donate-in-kind or Volunteer. A link to your website, from a popular news website like ours frequently assists your SEO. Search Engine Optimization ranking, assisting website obtain a higher search engine profile. Includes a basic short description, telephone contact & a location map. Includes a detailed description, website & email link, photos gallery & a contact/enquiry/donation Form. A picture says a thousand words. Available in two sizes a graphical entry grabs attention and creates a memorable image to linger in people’s minds. Get in your customers diaries before they are in someone else’s. Event advertisements inform people ‘what’s happening where’, from a job fair to a local coffee morning. 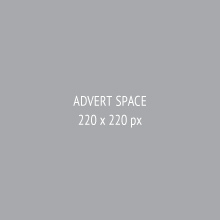 Work TV page advertisements come in two sizes: Regular size (220 x 100px) and Large size (220 x 220px). Both advertisements are a great way to advertise to those people visiting our video library. Ever heard the question ‘what do you know about us’ at a job interview. An HR video in our library, gives job-seekers knowledge about working for your company. Topics explored: can be the company culture, your first day at work, employee benefits and opportunities for advancement. How to apply and more. These videos are joined in sister libraries, covering these important topics: Franchising, Further Education and Employment Professionals. If the public want to find the best companies to work for, this is the place to look. NO Video, No Worries - Video Creation starts from as little as £2,500 and is based on your requirements. Why not let us supply a quote. For Video creation please Contact Us for details. Be seen and be noticed on our high profile News/Home Page in the premier position on our website. Portal ©20014-2015 Association of Pension & Benefit Claimants CIC. All Rights Reserved. Content provided for the Association of Pension & Benefits Claimants CIC website and Work TV under the licence from the respective copyright owners. All rights in the content are reserved by said owners.